Unmanned sub-stations, telephone exchanges and data centres deliver vital local functionality, but providing the necessary support has always been deemed problematic. Fortunately, there are solutions. Here at Aimteq we’re uniquely placed to help businesses with multiple site operations to monitor and manage alarms from remote locations. We combine market-leading technology with our understanding of large and remote customer estate to help you manage your facilities more intelligently. We monitor critical plant and environmental conditions at thousands of telephone exchanges and data centres across the UK and Europe. The system has been designed to connect to and monitor industry standard I/O allowing us to specify fit-for-purpose sensors and interface. The system is based on wired or wireless technology, with each solution designed to match the customer’s application using core products. The system has been designed to connect to and monitor industry standard I/O allowing us to specify fit-for-purpose sensors and interface with customers’ existing equipment to capture alarms. We are also able to interface with a number of systems using a software interface. Again there are a number of ways in which this can be done using add-on ancillary equipment. This is especially useful and cost effective where the customer is already using an existing BMS or other type of control system. To date, we have yet to encounter a system with which it was unable to interface for monitoring and reporting purposes. Where the site does not have any existing monitoring/control system and sensors, we can provide a range of proven devices which can be connected to the equipment on site. An initial non-intrusive survey allows us to capture the information necessary to provide a report on what is required to meet your requirements. 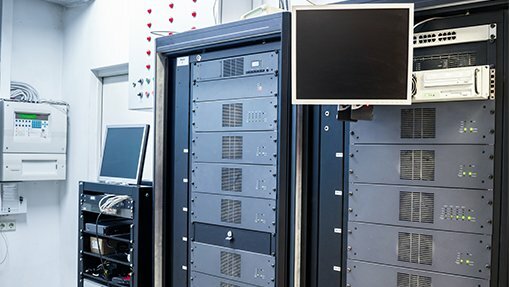 We help BT with the monitoring of critical temperatures and plant alarms in over 4,500 telephone exchanges. We had our first engagement with BT in the 1990’s (trading as Adam Communications at this time) when we provided critical plant alarm monitoring equipment in BTs telephone exchanges. As part of this engagement 3,500 exchanges were equipped with our solution and this solution is still the main component of how BT monitors the health of its telephone exchanges today. resulting in energy savings amounting to circa £1m per month for BT. The systems deployed have undergone stringent security evaluations and have been integrated into BTs Enterprise systems to enable maintenance teams to respond to any equipment alarms and the energy teams to obtain comprehensive energy consumption reports and optimise the control strategy at each site. We successfully addressed BT’s many heating and cooling issues, while also maintaining BT’s strict ‘business critical’ environmental requirements for each area within the exchange buildings. Colt is a premier supplier of Europe wide information delivery platform technology. The company’s solution combines high performance, end-to-end control of integrated computer and network solutions with an agile and responsive approach across a 22-country, 43,000 km network. 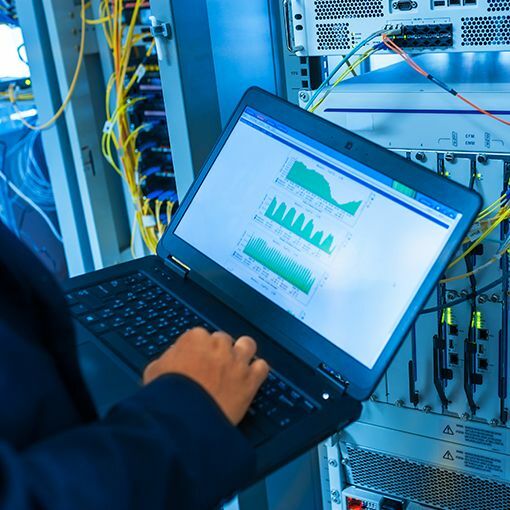 This includes metropolitan area networks in 39 major European cities with direct fibre connections into 18,000 buildings and numerous Colt data centres. 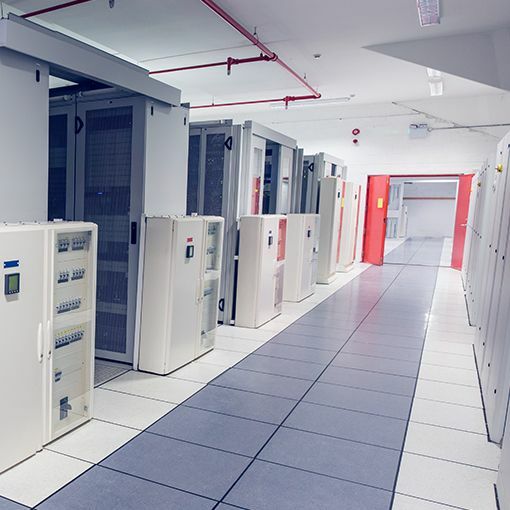 When Colt started to expand beyond London in the late 1990s, it needed some form of building management technology to support its remote sites and deliver alarms to a central server. Today there are two main vertical systems. One is the LDN (long distance network) – the fibre pan-European network that forms the backbone of Colt’s business. Here, the Aimteq team monitor the equipment at 156 LDN sites across Europe. These mainly comprise of small units and fibre repeater stations. Among the environmental conditions monitored include power, cooling and flood systems along with fire protection. The other vertical system is Colt’s critical array of node and data centres. Used primarily for hosting customer traffic equipment, there are 28 of these larger sites dotted around Europe. In total there are tens of thousands of devices under Aimteq’s management. We help Colt monitor their power, cooling and flood systems, along with fire protection.